Raspberry Knoll – Northeastern Connecticut's Premier Pick-Your-Own Raspberries, Blueberries, Herbs, Veggies, Flowers + more! Thank you to all who have signed up for this season. Enrollment for the 2019 CSA is now open. Click on the CSA tab along the upper menu bar for information and the enrollment form. We have closed for the 2018 season. Thank you for your support. We look forward to seeing you again next spring! We close for the season at 5 pm on Sunday September 16. Come on out and stock up on raspberries, winter squash, potatoes and more. Cut fresh flowers and herbs for use now or dry for using later. Please note, we close at 5 pm each day this week. We look forward to seeing you at the farm! We will be open on Saturday and Sunday of Labor Day Weekend; closed on Monday. Plenty of raspberries available for picking, vegetables in the farmstand, flowers & herbs for cutting. We look forward to seeing you! 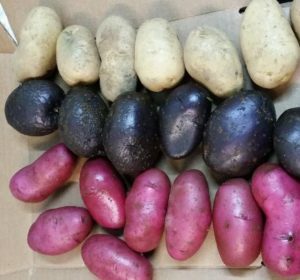 It’s that time of the year – it’s red, white & blue potato time! There is nothing like a fresh dug potato for dinner, or as hash browns with eggs at breakfast. I know what we are eating this weekend, next week, and the next…….. The farm will be closed on Tuesdays the rest of the season. This is the last week for blueberry picking – no guarantee there will be blueberries left on the weekend. Come on out during the week and pick ’em. Fall raspberries are ready for picking – red and yellow along with our new yellow blush raspberry. 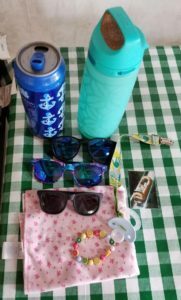 If any of these items belong to you, we will hold them for the next couple of weeks. 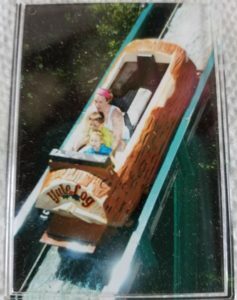 Hoping the family in the ‘Yule Log’ will recognize themselves – we are sure they will want this picture back. Fall raspberries are ready for picking (summer raspberries are done til next year). Picking our late blueberry variety. Melons and red potatoes are in the farmstand. First 2 fields of Sweet corn were enjoyed by the racoons – again. Traps in the next field which we will be picking by next weekend. Enjoying the rain today.